Please respect that our close time is the time we request you leave the premises, we would gratefully appreciate if these rules are adhered to. 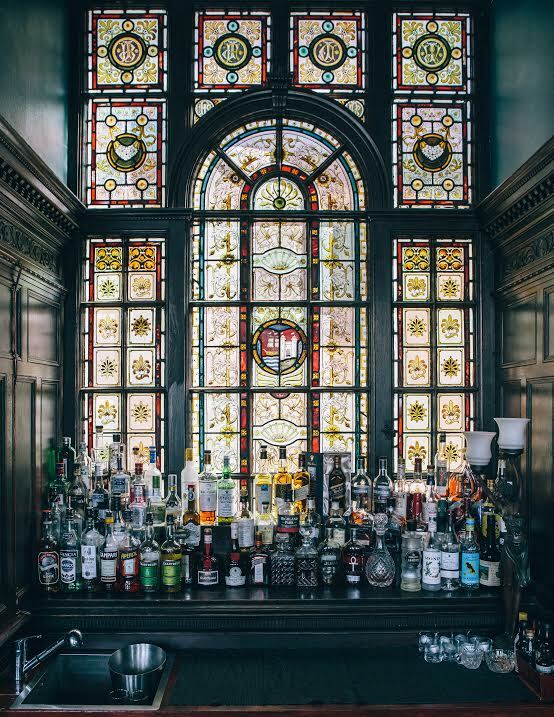 We pride ourselves on being purveyors of the finest cocktails in the city, and with four floors, including a cocktail bar, lounge and private function rooms we’re also the perfect place to host a truly fabulous party! With a reputation as one of Bristol’s best kept secrets we promise to provide a decadent escape for those in the know who are looking for good food, good drinks, good company, and most of all, a good time! But hey – don’t take our word for it – come in and try us for yourselves! Looking for a venue, look no further. For private dining and for hiring of our rooms please contact our team for availability. We recommend booking in advance so please contact our team for availability. As you would imagine we get booked up so if you are unable to keep to your booked please call ahead as we will only hold your table for 15 minutes before releasing. When we arrived we were greeted by friendly staff. Shown to the table with was a hard bench style seat , slightly uncomfortable for me , there were other comfy booth style tables around. The bartender was friendly and got us the drinks we asked for, they were pleasant and usual from a normal cocktail menu which was quirky and made the experience better. Could of done with salt snacks /nuts/ pretzels etc all we were offered was chilli bites. The atmosphere was good nice feel to the place. We only had access to the ground floor so I can’t give a full review on what I seen. Amazing cocktails, relaxed and ambient environment, great service. A lovely night out and we felt very special just from the fantastic service from the friendly staff. It was our first visit and the staff were very knowledgable in recommending our cocktail. We visited between a matinee theatre trip and an evening meal. The perfect idea! Had a lovely eveining, loved the coctails!! The Milk Thistle has a great atmosphere and ambience about it and the staff were very attentive and helpful. Will be back very soon, in fact won’t come to Bristol without visiting. Really good time, unique cocktails, great staff... definitely recommend the place. We were made to feel welcome and that our experience was important the moment we arrived. Chris who served us was professional, attentive and knowledgeable about his drinks. Great atmosphere, will be back for sure. Fantastic service and venue! We had our wedding reception here and everyone made the entire experience perfect. From the welcome to the end of the night we, and our guests, had an amazing time! Highly recommend good your next event at The Milk Thistle! So loud, couldn’t hold a conversation. Asked to have the music turned down, our waiter said the other staff laughed at this request and ignored it. Mentioned to manager, when we left who was completed disinterested. Service slow, and inattentive. 2 of our 4 cocktails were undrinkable. (Yet 9.50 each).. Left after one drink and went to the Runmer. so dark impossible to read the menu. Just really disappointing. 2 years ago we hired the whole thing out for our Christmas party. Wouldn’t  bother stepping foot in there again if I was being paid!! This was a first time experience. It was really great. The friendliness of the staff. The drinks and quirkinesses of the menu and bar itself made a really good and refreshing change from most places. 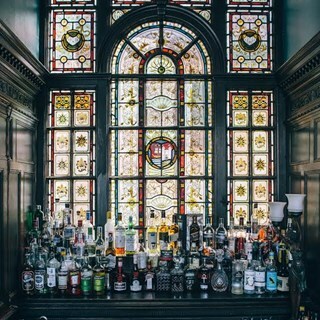 We had a terriffic cocktail tasting session at the Milk Thistle. Our barman, Elliott, was really professional and a great host. He coming up with some lovely taste experiences as well as the history behind some classic drinks. Thoroughly recommend - but don't go on an empty stomach. Great venue, great service, great night! Loved it! A great little stop pre- theatre. Beautiful surroundings although quite dark to read menu. Lovely staff and we all tried different cocktails and all were tasty. It's a good experience. Unfortunately we were very disappointed with our experience at the the Milk Thistle. Firstly we were made wait in the rain for 5 minutes before someone came to the door. We noticed on the way out that the receptionist sat there while other waiting guests were knocking on the door. She ignored the knocking and left people in the rain until it was convenient for her. The bar staff were friendly and helpful. I was disappointed not to see non alcoholic cocktails on the menu. The venue needs to stock Seedlip which is a very popular non alcoholic spirit and tastes similar to gin. Instead our pregnant lady was just asked what flavours she liked and was given some sort of cordial. The alcoholic beverages were very disappointing especially seeing as they cost £ 9-10. The fanciest thing about them was the description on the menu. We left early and won't be returning. Placed on wrong tables from what I ordered, due to my back pain need to be upright. Was greeted by the door being shut in my face saying where full had to buzz again to show we had reserved a place. Was left waiting 20 mins to order drinks. Drinks menu was like a child's colouring book impossible to make out what the drinks where. Way to dark so had to use flash on phone to read menu. Music was way to loud for a speak easy. A large group of larger louts sat behind us and start football chanting. Drinks where nice but won't be going back. We had a really lovely time at the Milk thistle. The staff were extremely helpful and friendly and the cocktails were sublime. We will definitely visit again the next time we make it to Bristol! The staff is really friendly, and I would say that the differential is that the barmen are always open to come up with a drink based on your preferences. Service was a bit slow, but drinks were definitely worth it when they arrived! We probably would have ordered another round though if the first lot had arrived quicker. Also, the stools aren't very comfortable for your back, even for me in my mid 20s, worse for my parents. Would come again though, great drinks and atmosphere. Always a great night and great value for money. Quality drinks!